TOKYO--(BUSINESS WIRE)--Toshiba Electronic Devices & Storage Corporation (“Toshiba”) today launches an integrated dual H-bridge DC brushed motor driver IC that includes an output current limiter function rated at 50V / 3.0A. The new TB67H401FTG device can handle applications where monitoring and feedback of the motor state is necessary, including office equipment, ATMs, home appliances, robotic cleaners and more—all devices that have grown in popularity in recent years and that often incorporate DC brushed motors. 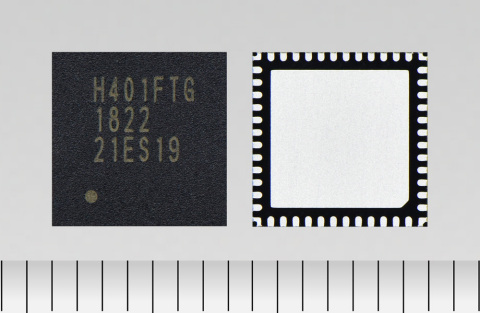 Toshiba releases an integrated dual H-bridge DC brushed motor driver IC that has an output current limiter function for robotic cleaners and more.